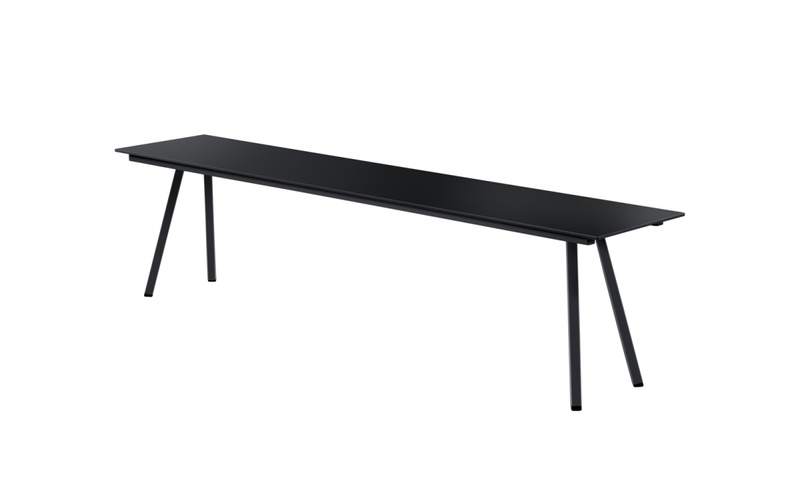 The Egon table is best accompanied by the Egon bench. 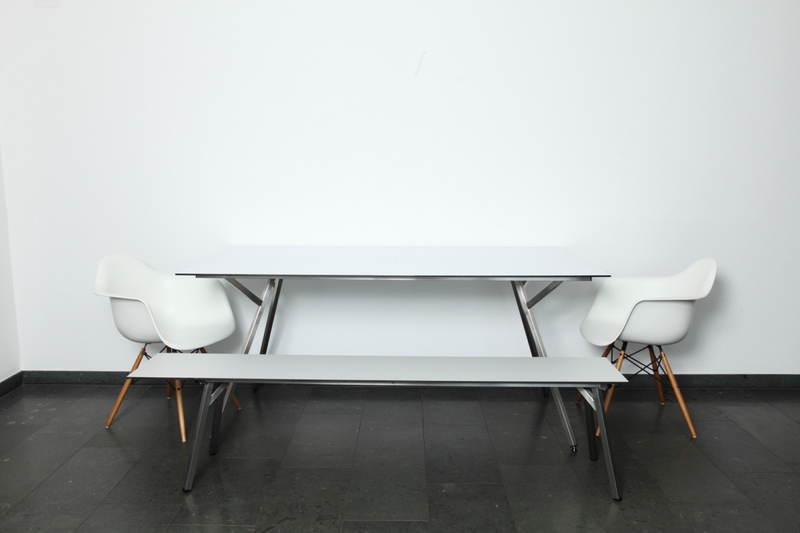 The Egon table is best accompanied by the Egon bench. 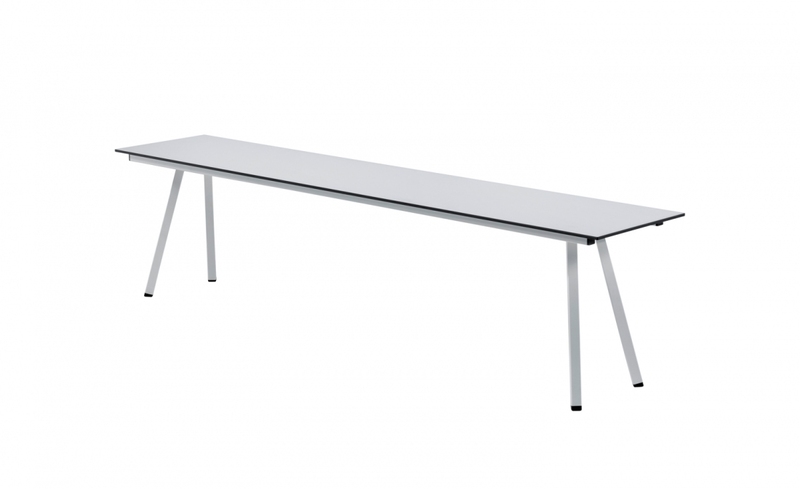 It’s angled feet create a stiff and sturdy construction that is lightweight at the same time.